Giving our customers the Best service starts with hiring the best people in the business, and then helping them get ahead with training classes, funds for educational seminars, and assistance with college expenses for qualified individuals. Each year we recognize their hard work and commitment to customer care at our annual employee appreciation dinner. This year was the 41st celebration of the Best dry cleaning and tailoring team from each of our 12 locations and delivery service staff. We are grateful for their contributions and years of service…without them we wouldn’t be Best. 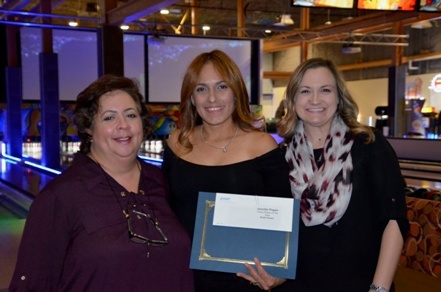 Pictured above is Team Player of the Year Jennifer Pagan (center), with Best Regional Managers Carmen Coleman (left) and Simonne DuBaldo (right).